2019 Dates: Contact us to schedule your own SUP lesson! Cost: Between Rs 3000-5000 (see below). Cost includes all SUP equipment and safety gear (SUP, life jacket, helmet, paddle), transportation, instructor and safety kayaker fee. Description: Our SUP lessons are designed for absolute beginners, and help you to understand the basics of stand up paddleboarding and get comfortable on the water. 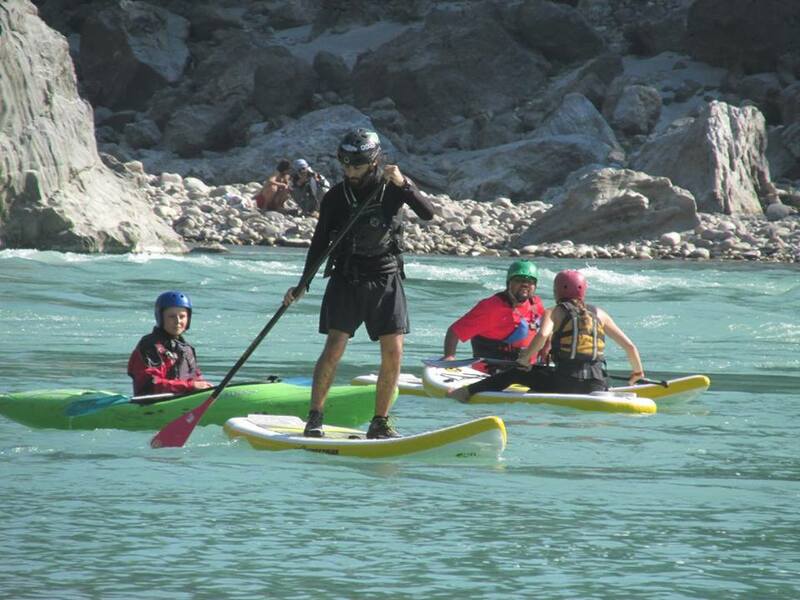 The Beginners SUP Lesson will orient you to the sport, and cover safety procedures, paddle strokes and board control. The Intermediate SUP Lesson will go a step further to teach you how to read water, eddy in and out, and wave surfing techniques. In both courses, you will start on flat water and proceed to whitewater as you progress.